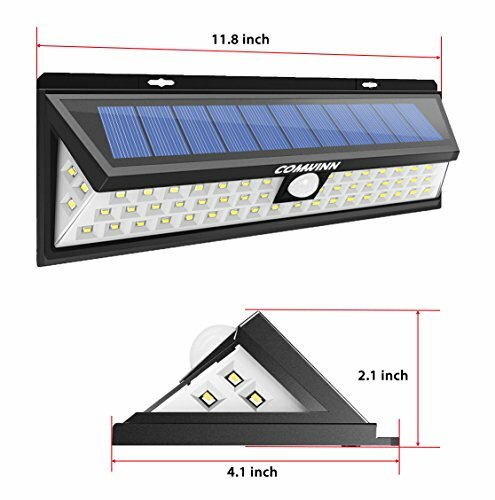 The 54 LEDs light has Unique Wide Angle Design with 3 LEDs on Both Sides,which gives the light more side lighting ability. 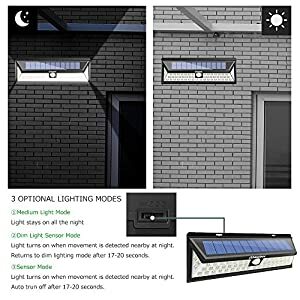 The 3 LEDs on Both Sides put out enough extra light to really make the solar light very efficient as a whole, these are the best and brightest by far. 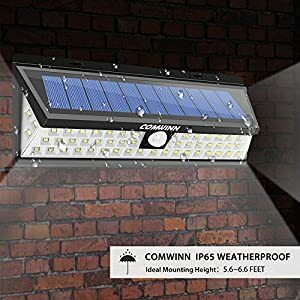 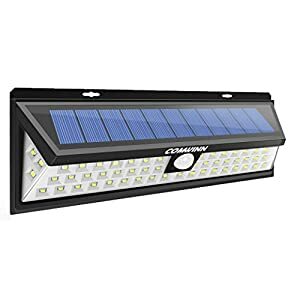 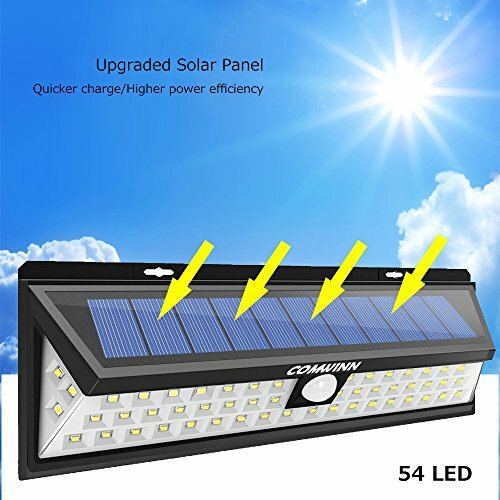 The light with 54 LEDs Design is much brighter than other similar solar lights in the market,which provides a super bright level of illumination for a wider area. 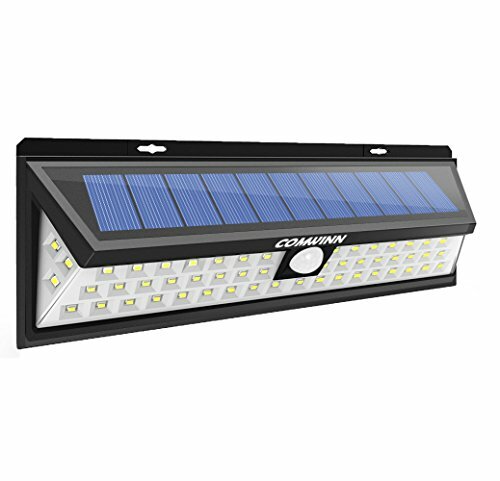 The Solar Power Lights is Wireless, Super easy to set up. 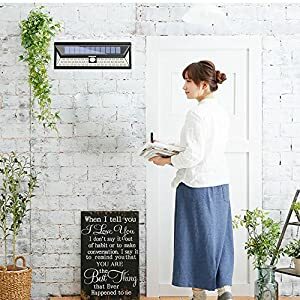 I would definitely recommend this light if you don’t want the hassle of having to set up a wired light.Please Make sure it’s in direct sunlight to recharge all day and it will last all night. 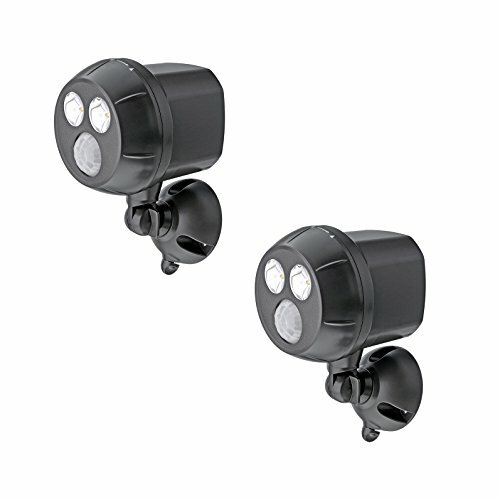 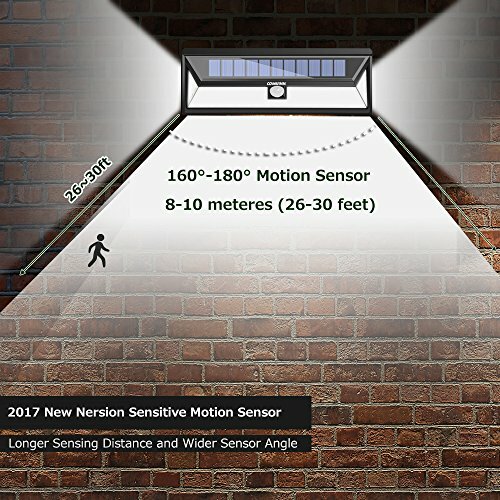 Choose the perfect mode from 3 modes,  Full Light Mode suits for the front and back door, outdoor patio, deck area backyard  Dim Light Motion Detcted Mode suits for balcony railing, side and back yard, entryway  Full Light Motion Detected Mode suits for garage, driveway, path, fence and etc. 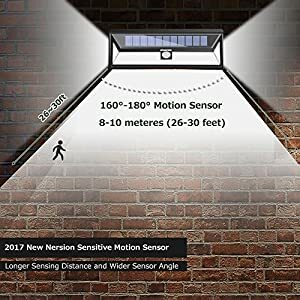 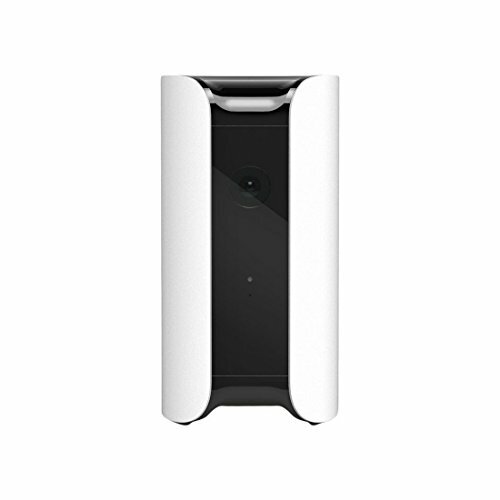 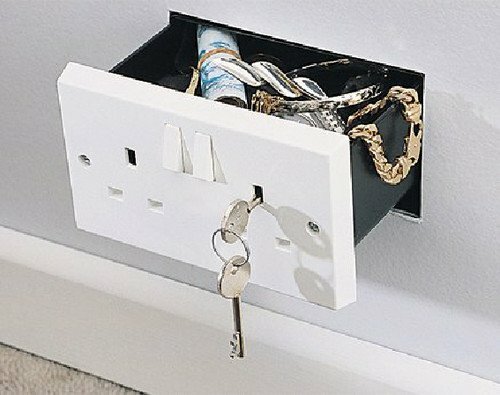 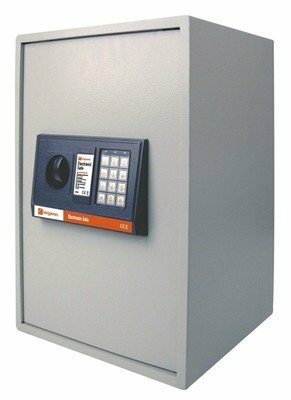 The distance that the sensitive motion sensor detects is 26-30 feet away. We recommend the appropriate installing height should be 5.6feet-6.6feet.We have a 45 days money back & 18-month warranty.